Zentek has achieved ISO 9001:2015 Certification, reflecting the company-wide commitment to high quality standards and continuous improvement. 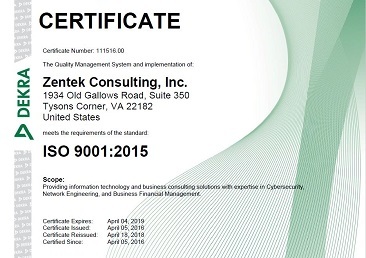 The scope of Zentek’s ISO certification includes information technology and business consulting solutions, specializing in Cybersecurity, Network Engineering, and Business Financial Management. 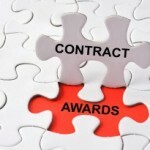 To achieve this certification, Zentek demonstrated that both management and operational practices have been implemented to ensure that high quality products and services are delivered. Supported by an ISO 9001 Quality Management System (QMS), Zentek is able to deliver superior solutions to customers, and directly influence satisfaction and retention. In addition to supporting customer-facing objectives, internally Zentek is devoted to systems and processes that facilitate growth – improved communications, organizational awareness and accountability, process integration, and audit readiness.